In conjunction with the second edition of the Chicago Architecture Biennial titled “Making New History,” SO–IL and artist Ana Prvački will debut a special project during the Biennial’s opening week. Titled L’air pour l’air, the project aims to ensure the continued legacy of street musicians as our cities’ atmospheres grow more polluted. 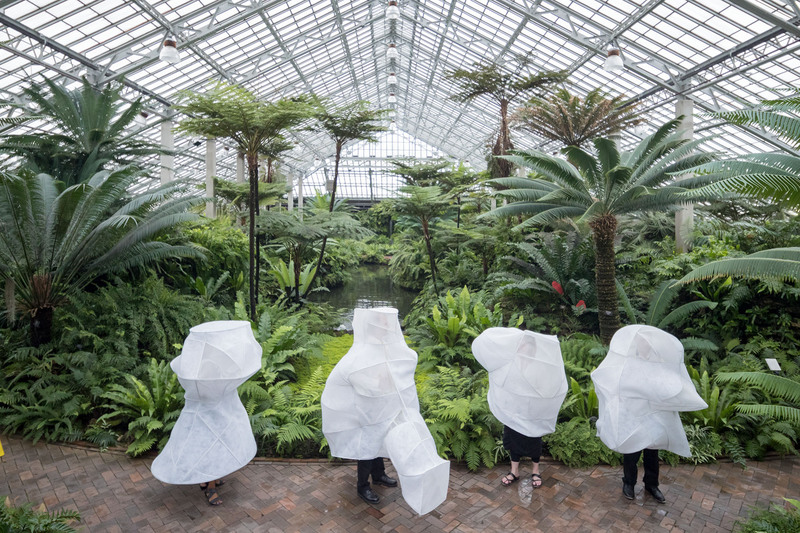 Inspired by the abundant plant life in the Garfield Park Conservatory, SO–IL and Prvački have created an ensemble of air-filtering mesh enclosures, designed to clean the air through breathing. Part mask, part shelter, the enclosures will be worn by an ensemble of saxophone, flute, trombone, and vocals from the Chicago Sinfionetta. Through performing an original composition, De Aere (concerning the air), by composer Veronika Krausas, the musicians will “clean the air that produces the music.” The installation and performance encourage its viewers to meditate upon the complex notions such as the relationship between purity and pollution, and the distinctions between self, body, objects, and nature. 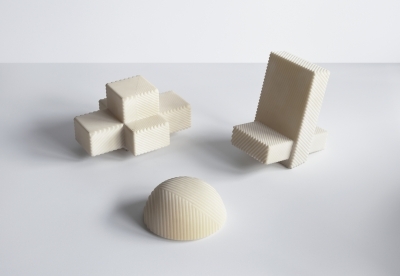 SO–IL and Laisné Roussel win Place Mazas! 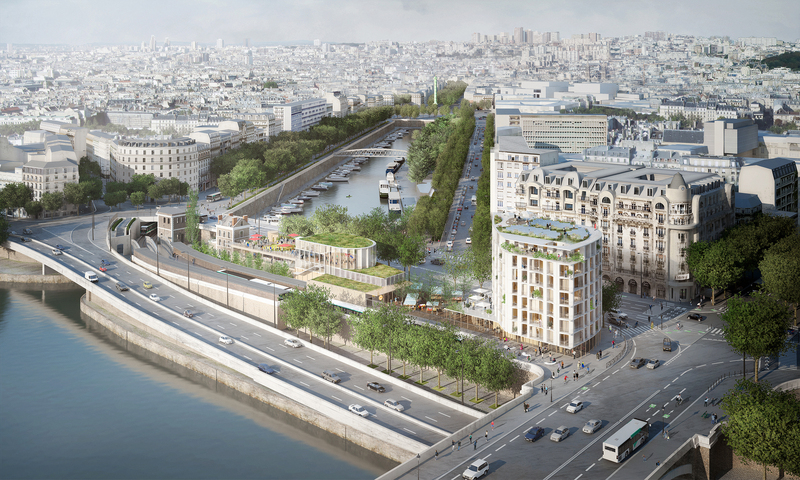 In joining the Reinventer La Seine competition for the Place Mazas site in Paris, New York-based architects SO–IL and Paris-based Laisne Roussel have partnered with French real estate developers REI Habitat and Icade to create a captivating design proposal. Our winning submission offers a fresh approach to urbanism, one that carefully considers contemporary as well as historical contexts while creating a flexible infrastructure that can evolve in parallel with the city. SO–IL is excited to collaborate with Ana Prvački for the upcoming 2017 Chicago Architecture Biennial! This year’s Biennial, titled “Make New History,” will take a decidedly historical look at architecture. The show hopes to address the persistent “insistence on creating works that are unprecedented and unrelated to architectures of the past.” The second Biennial will run from September 16th, 2017 through January 8th, 2018. 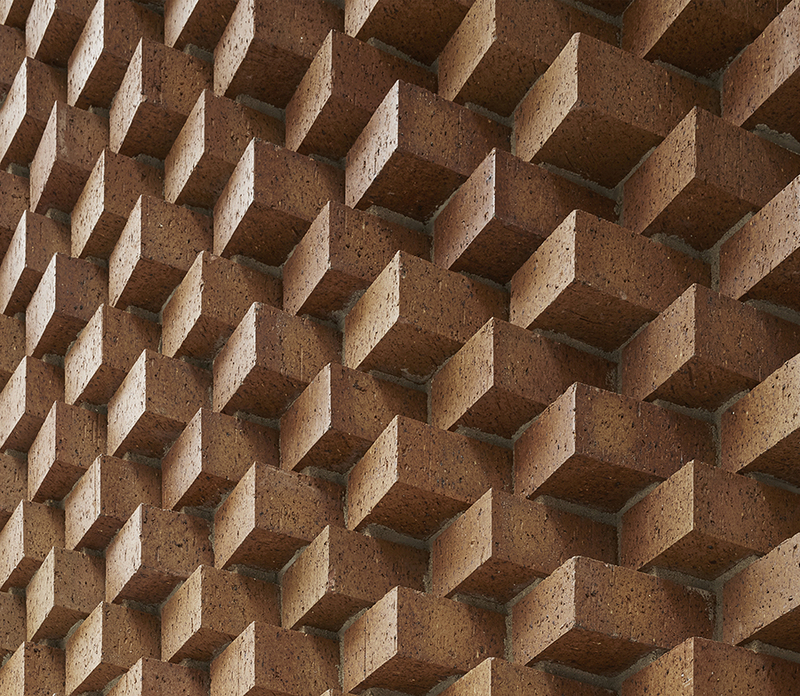 Jing Liu is a finalist for the Moira Gemmill Prize for Emerging Architecture! 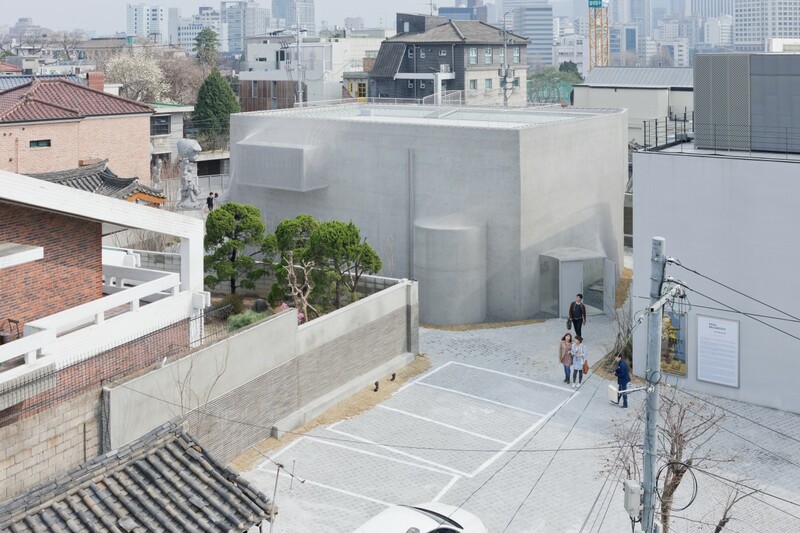 In association with The Architectural Review and The Architects’ Journal, the award recognizes architects using innovative architecture to effect social change. Curbed announced SO–IL as a 2016 Groundbreaker! The award recognizes architects who are changing the way the built world functions. The Manetti Shrem Museum of Art opens to the public Sunday November 13, 2016! Florian Idenburg will speak on Order, Edge, Aura in SO–IL’s work on October 5 as part of the University of Colorado Denver College of Architecture and Planning Fall 2016 Lecture Series. Towards a Critical Pragmatism: Contemporary Architecture in China encourages further conversation about the present and future state of China’s architecture culture. With an exhibition design by SO–IL, the show highlights several buildings in five thematic categories—cultural, regeneration, digital, rural, and residential. The exhibition opens on September 13 at 6:30 pm with a discussion of the situation joined by SO–IL principal, Jing Liu. Cooper Hewitt’s Design Triennial, “Beauty — Cooper Hewitt Design Triennial”, will travel to the San Jose Museum of Art after the show closes in New York this fall. As part of the exhibition, SO–IL’s Veiled and a concept study for Amant will be on display from Sept 24 – Jan 1. “Sharing Models: Manhattanisms” explores the emergence of a culture that is marked by a return to, redefinition, and expansion of the notion of the commons. For the exhibition, Manhattan has been divided into 30 section cuts across New York City from the East River to the Hudson River. SO–IL’s contribution, “Noah’s Ark”, imagines Manhattan’s great grid undone by the endlessly shrinking atomic unit and the chaotic energy embedded between floating particles. All 30 models will be presented as an exquisite corpse at Storefront for Art and Architecture from July 15th – September 2nd, 2016. For Knoll Furniture Company, SO–IL has produced three furniture pieces; simultaneously seating, surfaces, and objects made to respond to the increasingly fluid nature of creative production in the workspace. The collection will be on display as part of Design Miami’s Design Curio program in Basel from June 14—June 19, 2016. Jing Liu will give a public lecture at the University of Melbourne as part of the University’s “Dean’s Lecture Series” on May 17, 2016. 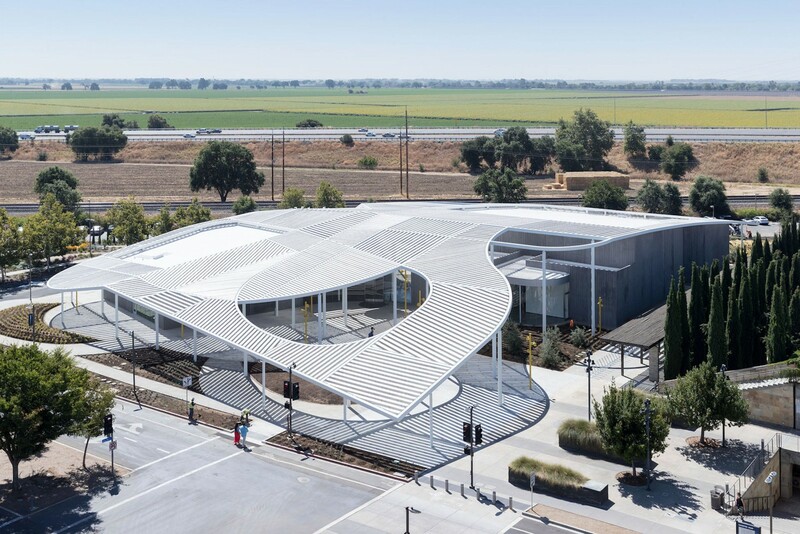 Manetti Shrem Museum nears completion! Florian Idenburg to join a panel discussion on key themes addressed in the MoMA exhibition A Japanese Constellation: Toyo Ito, SANAA, and Beyond. The event takes place on Wednesday March 9. More information here. 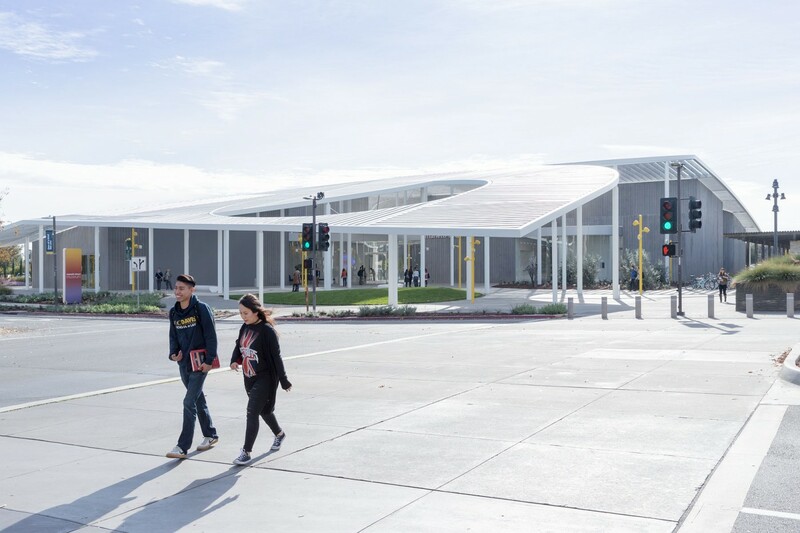 The University of California at Davis announces the currently under construction Jan Shrem and Maria Manetti Shrem Museum of Art to open on November 13, 2016. More information on the opening here. 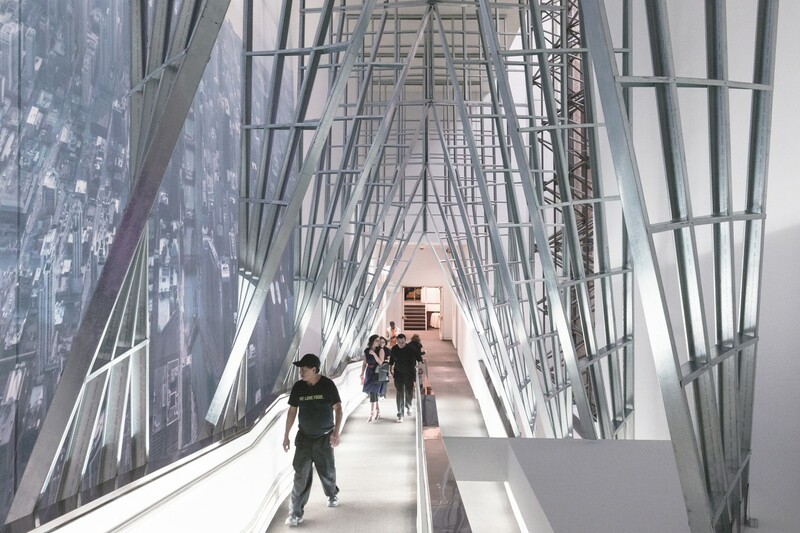 SO–IL celebrates winning the 63rd Annual Progressive Architecture Award. Hosted by Architect Magazine, the awards recognize risk-taking practices and seek to promote progress in the field of architecture. “Beauty—Cooper Hewitt Design Triennial” opens today, featuring models and images from Amant and Veiled. Museum Director, Caroline Baumann says, “The exhibition will celebrate design as a creative endeavor that engages the mind, body and senses with works of astonishing form and surprising function.” The exhibition runs from February 12 through August 21. SO–IL leads Architizer’s list of “10 Firms to Watch in 2016“. Guggenheim curator Troy Conrad Therrien interviews SO–IL for the Winter Issue of BOMB Magazine. In the feature, SO–IL principals muse on the location of contemporary architecture, the firm’s current trajectory and antimatter. Passage is featured in The Wall Street Journal’s review of the inaugural Chicago Architecture Biennial. Hopscotch Design Festival gathers thinkers, makers and storytellers to share ideas and foster conversations about how design is shaping the future. Over the two-day festival, Ilias Papageorgiou will speak a variety creatives working across graphic design, urban planning, technology, architecture, music, food and film. Florian Idenburg participates in Gentrification Lab, an exhibition and discussion addressing the potential role of architecture in gentrification. 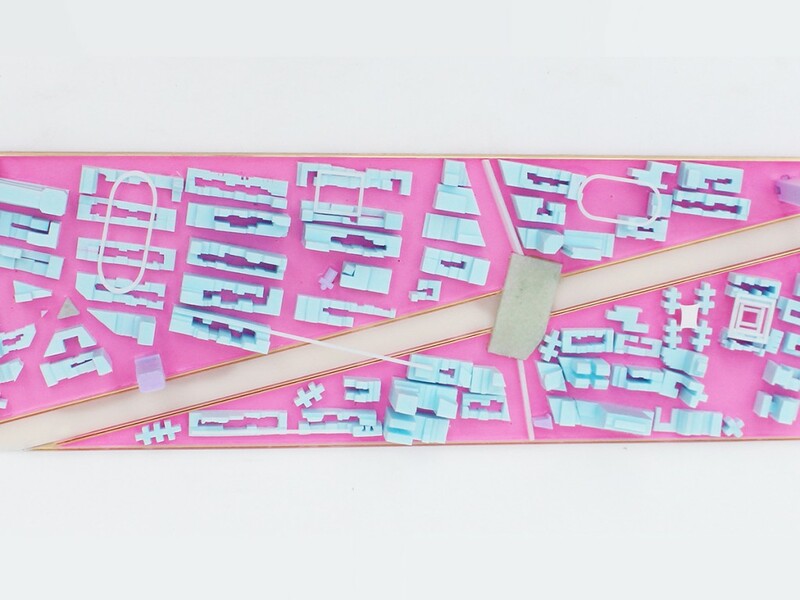 Organized by ZUS and hosted by Syracuse Architecture, the lab aims to reconnect architecture with the economic, social and political realities of the contemporary city. In conjunction with Out of the Box: Ábalos & Herreros, the exhibition Landscapes of the Hyperreal: Ábalos & Herreros selected by SO–IL results from guest curators Florian Idenburg and Jing Liu’s focused immersion in the Ábalos & Herreros fonds at the CCA. 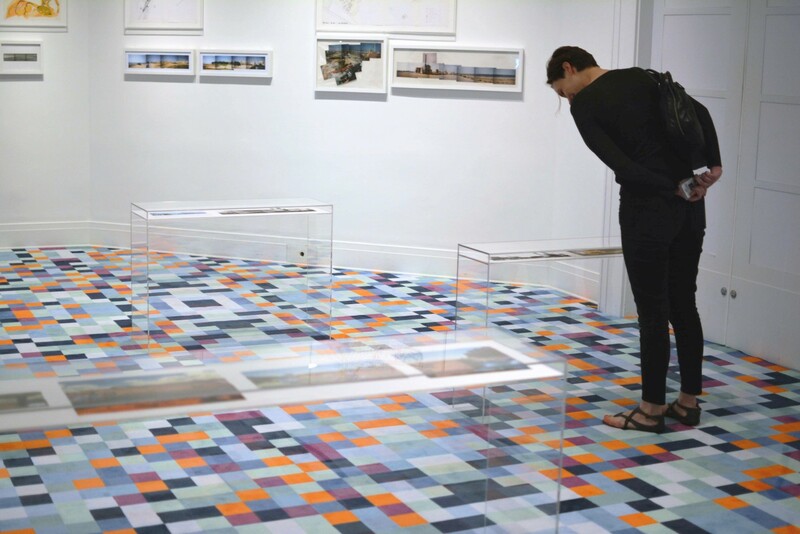 Accompanying the exhibition is an installation; a pixelated carpet which spans the entire exhibition floor. The exhibition runs from July 23rd, 2015 to September 13th, 2015. “The Architectural Impulse” is a group exhibition at Cristin Tierney Gallery displaying artists working with the materials, processes and theoretical concerns of the architectural discipline. As part of the exhibition, Jing Liu will moderate a discussion with Alois Kronschlaeger, Jean Shin and Elise Ferguson at The Center for Architecture. On June 24th at the Guggenheim Museum, Florian Idenburg and Alvaro Siza will discuss the Portuguese architect’s latest thinking on the life of an architect through a presentation of a selection of his work. 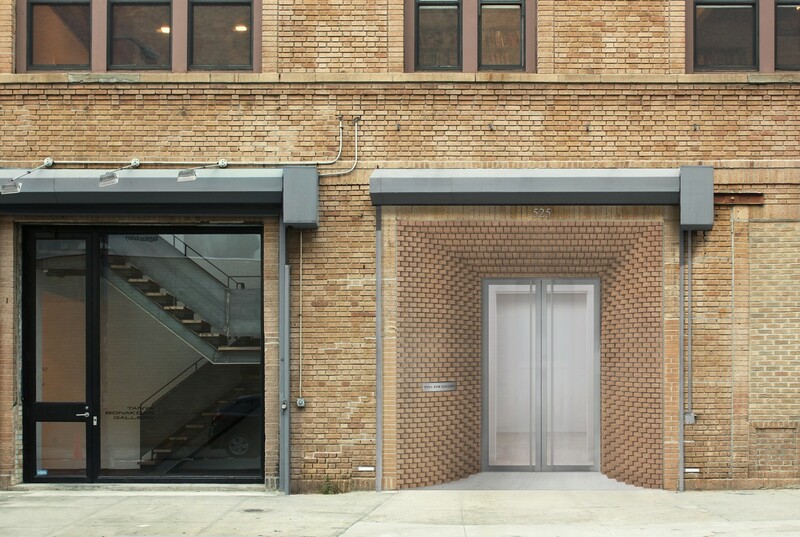 Tina Kim Gallery’s new location opens at 525 W 21st St in New York City. Tourism Landscapes: Remaking Greece opens at the Acropolis Museum in Athens today. SO–IL’s contribution, Veiled, will be displayed among a collection of 15 proposals by Greek and foreign architects through Saturday, April 11, 2015. 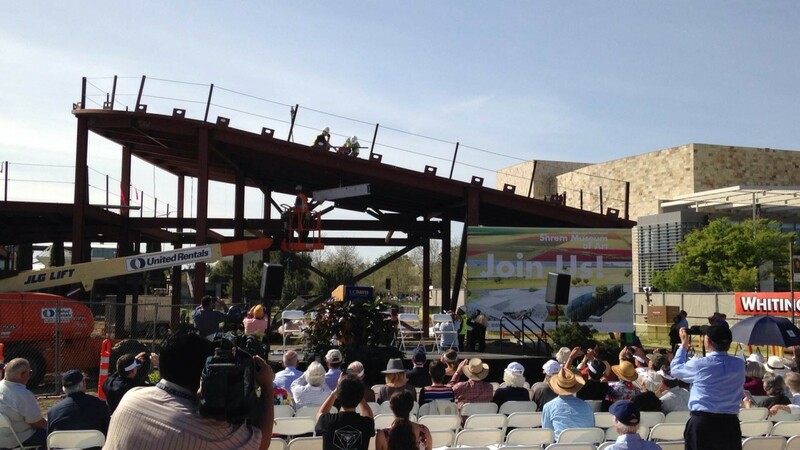 SO–IL celebrates the completion of Manetti Shrem Museum of Art‘s structural framework. SO–IL, in collaboration with FREAKS freearchitects, wins first prize in a competition to re-envision the historical Site Verrier de Meisenthal. Comprised of a cluster of buildings, the former glass factory will be unified by a concrete “tapestry.” This “tapestry” simultaneously clarifies the site’s complex topography and creates a highly flexible space that allows for a variety of functions from festivals to outdoor performances. The newest iteration of Blueprint is now open at Storefront for Art and Architecture through March 21, 2015. Curated by Florian Idenburg and Jing Liu of SO–IL, and artist Sebastiaan Bremer, the exhibition invited artists and architects to reflect on the theme of origination through the medium of the blueprint. 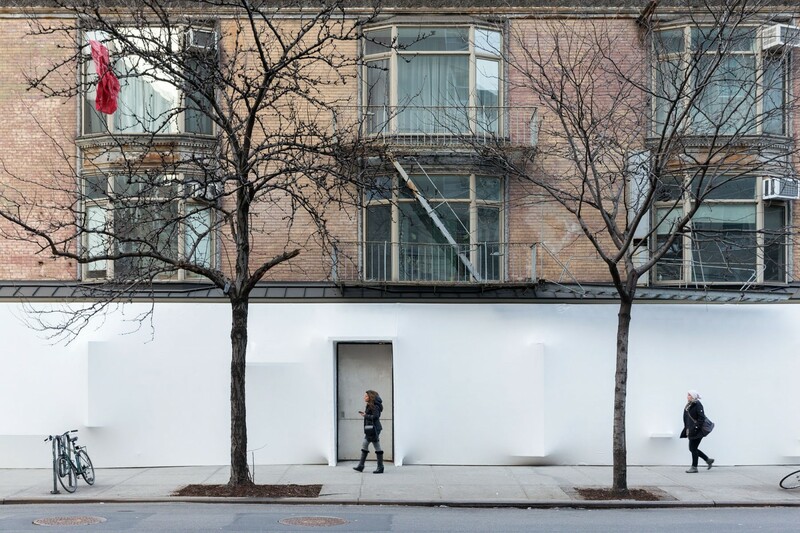 Realized as part of the exhibition, an installation by SO–IL shrink-wraps the gallery’s façade of varied and irregular openings, transforming it’s exterior into one continuous and undulating surface. The resulting interior provides an intimate space that allows the viewer to see behind the mind of the artist. Forecast, a exhibition introducing a recent SO–IL project through a number of material and representational explorations, opens at the BEB Gallery at RISD. SO–IL spends the last 2 weeks of November at the CCA in Montreal, exploring the archive of Abalos y Herreros, as part of the ‘out of the box’ series. 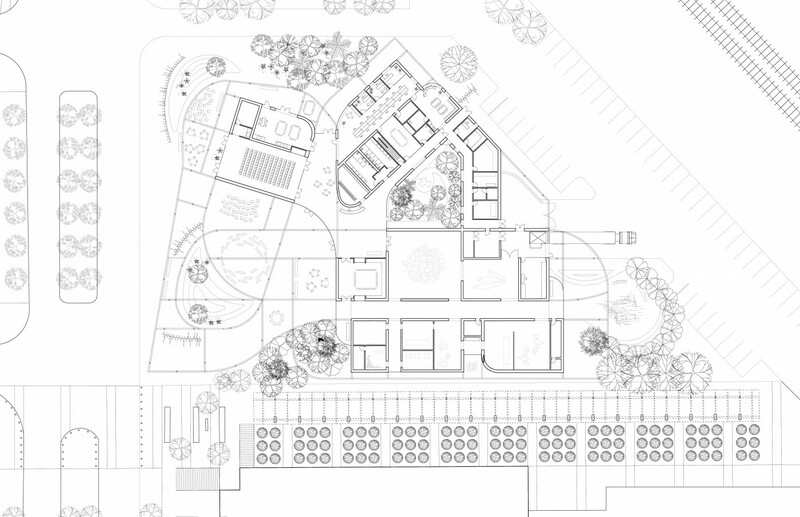 In its first attempts at landscape design and planning, SO–IL is excited about achieving 3rd place in an open competition to design a park in the Wynwood area of Miami. 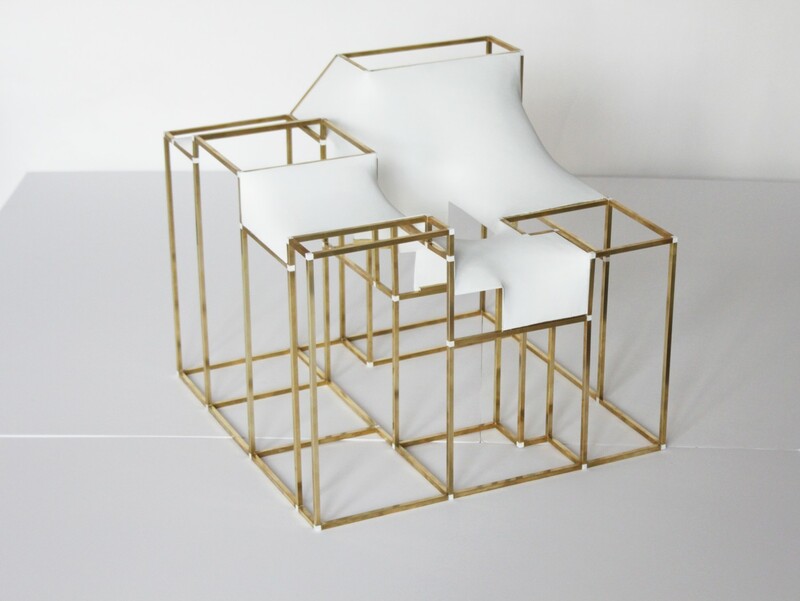 On view between 09/13/2014 and 01/25/2015, Veiled Architecture presents a series of conceptual and schematic models that reveals SO–IL’s process to recreate a traditional white-cube gallery as an innovative and striking building. 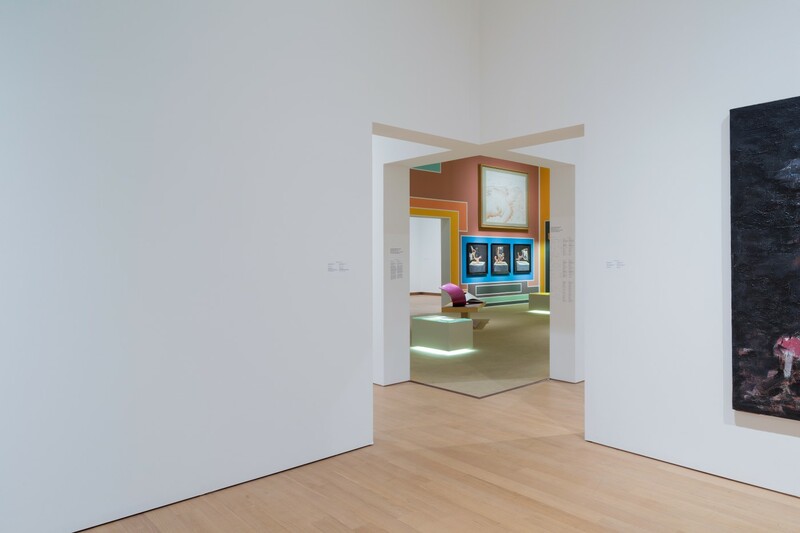 On view between 07/20/2014 and 11/9/2014, Bad Thoughts is a unique, large scale survey of the works assembled by Amsterdam collectors Martijn en Jeannette Sanders. With work by David Claerbout, Gilbert & George, Anton Henning, Anselm Kiefer, Cindy Sherman and many others. 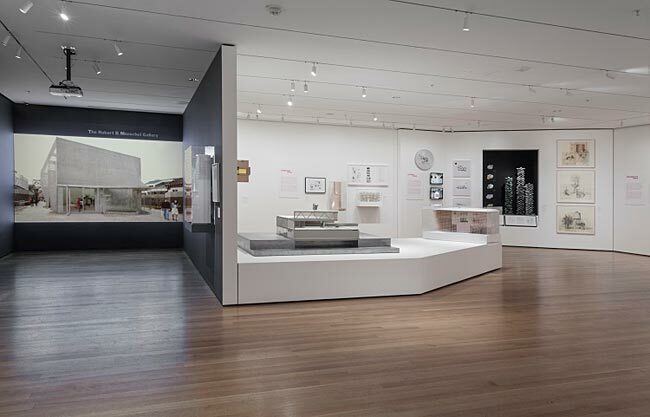 Conceptions of Space, on view between July 4–October 19, 2014, addresses how contemporary architects continue to embrace spatial creation as a fundamental focus of their work. Participants offer a global panorama of architectural practice today, from acclaimed architects such as Herzog & de Meuron, Álvaro Siza, and Kengo Kuma, to young, emergent practices such as Pezo von Ellrichshausen, Chile; Ryue Nishizawa, Japan; Ensamble Studio, Spain; and the New York-based SO–IL and MOS Architects. SO–IL is pleased to announce Ilias Papageorgiou as a new partner. His appointment supports the steady growth in size and scope of the firm over the last 5 years. Ilias has been with SO–IL since its inception in 2008 and has played a key role in the firm’s recognition and success. As a partner Ilias will continue to lead the creative processes in the office and the implementation of the projects in the world, as well as to drive the development and growth of the firm. Ilias joins current partners Florian Idenburg and Jing Liu. SO–IL announces the groundbreaking on March 1, 2014 for the new Jan Shrem and Maria Manetti Shrem Museum of Art at the University of California, Davis in Davis, CA. Designed by SO–IL, in a design-build partnership with Bohlin Cywinski Jackson and Whiting-Turner, the design advances the fundamental notion of the art museum in the 21st century. 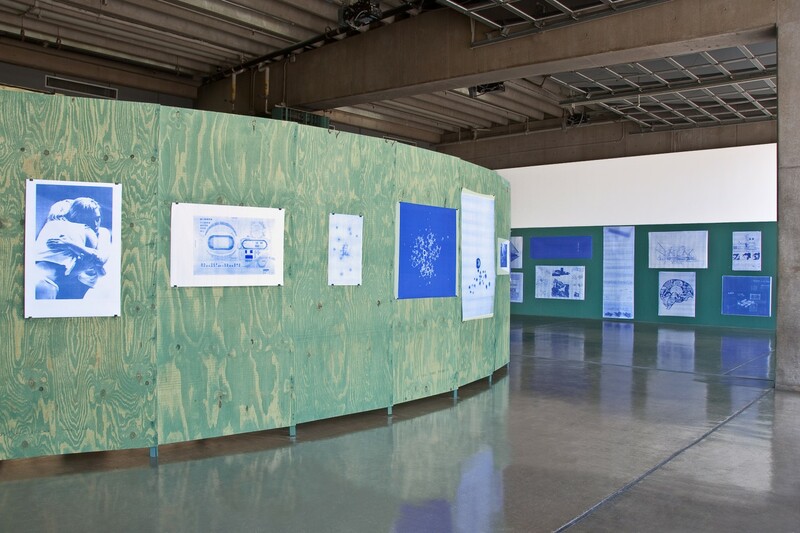 Curated by Florian Idenburg and Jing Liu of SO–IL, and artist Sebastiaan Bremer, Blueprint/Blauwdruk is open at Kunsthal KAdE through March 23, 2014. The team of SO–IL and Architectuurstudio HH (AHH) has been shortlisted for The Arts Cluster, a planned development along the Rhine river in the inner city of Arnhem. Other shortlisted firms include Kengo Kuma and Associates, BIG | Bjarke Ingels Group, NL Architects, and Office for Metropolitan Architecture (OMA). Announced in October 2013, the project will bring together Museum Arnhem (MMKA) and Focus Filmtheater Arnhem (FFA) in a new cultural facility in Rijnboog (expected GFA 8,500 m2), the southern part of Arnhem’s inner city. 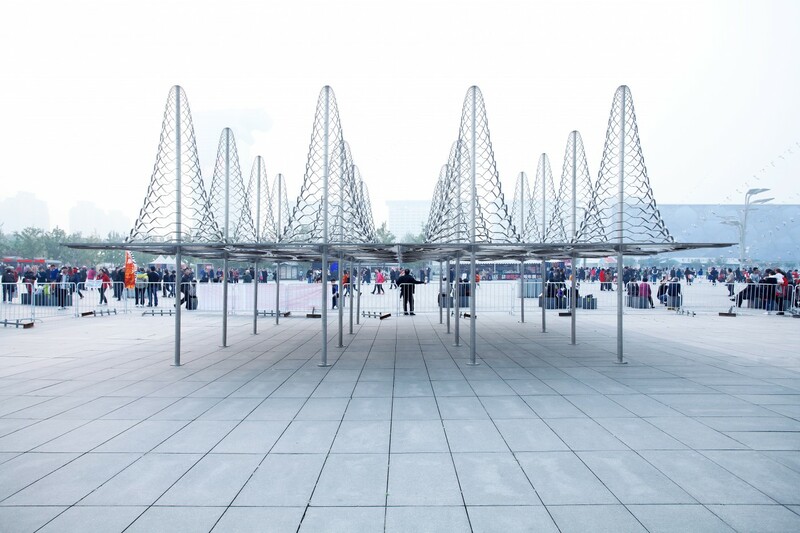 SO–IL completes a new installation “Spiky”—a serial conic canopy made of expanded metal mesh—in the Beijing Olympic Park adjacent to the Beijing National Stadium.“Spiky” was realized as part of the 5th China International Architectural Biennial 2013 in Beijing, China, which included installations by Mohsen Mostafavi, Herzog & de Meuron and Zaha Hadid. 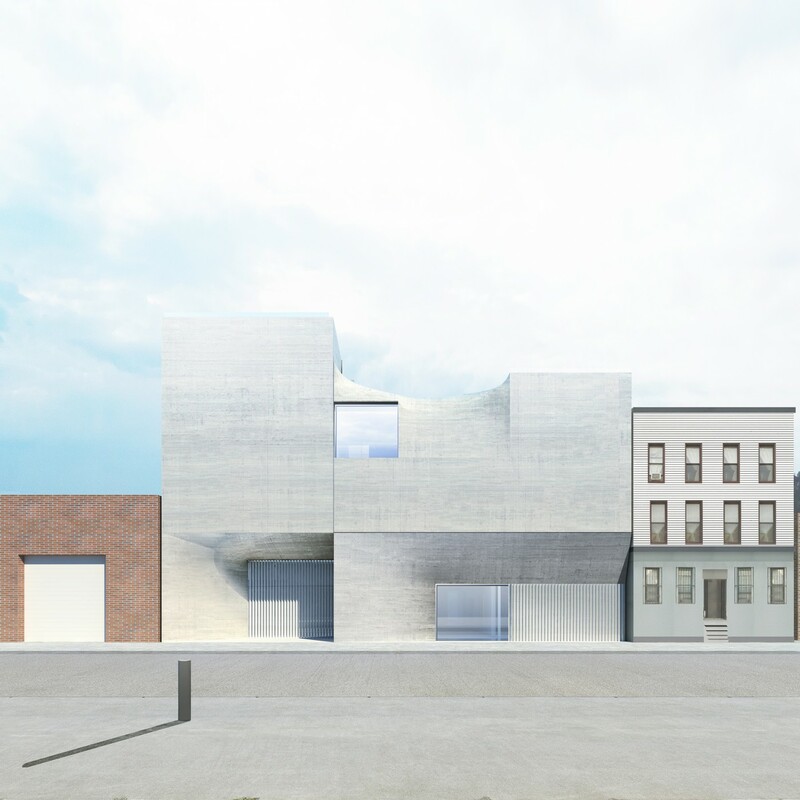 The New Museum has commissioned SO–IL to design their new incubator for art, technology, and design. Slated to open in summer 2014 in the Museum’s adjacent building at 231 Bowery, this new not-for-profit initiative aims to create a hybrid educational and professional workspace—a dynamic 24/7 center where more than sixty start-up and creative entrepreneurs will gather. SO–IL’s proposal will address the notion that there are different modes of working, from concentrated work alone or in small groups, to having meetings with external consultants, or Skype calls. The renovation will involve a set of elements that can be adjusted to suit a constantly evolving program. Each year the Architectural League in NYC selects eight emerging practitioners. The Emerging Voices award spotlights individuals and firms based in the United States, Canada, or Mexico with distinct design voices and the potential to influence the disciplines of architecture, landscape design, and urbanism. Being named an Emerging Voice by the Architectural League is one of the most coveted awards in North American architecture, and the program has a superb track record over its thirty-year history of identifying and nurturing firms that go on to have influential practices. For a complete list of past winners, click here. Our design for Kukje Gallery has been nominated for Designs of the Year 2013 in the category Architecture by the Design Museum in London and will be on display at the museum from March 20 till July 7. Architectural Record selected SO–IL as ‘Best Firm Making Its Debut in Record’ for Editor’s Picks: Best Architecture of 2012.